This is the reverse of the same patch. Is it considered a bad thing to have this patch (USAREUR Airborne) or any other patch reproduced, even if it were to be offered as a reproduction? This patch seems to be uncommon. My father has never seen another one other than when he was in Germany. Back from the Desert, got this one in Qatar! Got this one from a former aid to the ABG Commander. Edited by Teamski, 12 May 2008 - 09:54 AM. Berlin Brigade patch with strange colours?? Edited by jeffreyvanspengen, 12 May 2008 - 01:12 PM. WOOF! I had NO idea there were that many variations of the Berlin patch. I learn something new every time I log on here. Thanks for sharing those patches, I'd never get to see all those variations anywhere else. I don't collect these types of patches but I came across this uniform at a flea market for a whopping $2.00 and couldn't pass it up. The name tape reads, "WILLIAMS". No, the left one is NOT bleached or washed out. All other colors exept blue seem to be correct. The right one is of unknown origin, embroidered on velvet with orange rainbow. Maybe signals??? Wow - some amazing USAREUR patches. There are so many variations and German made variations that you could specialize in only USAREUR patcehs! Anyways heres my USAREUR and Berlin patches. Hope you enjoy! We had one of those velvet patches for years thinking it was a rare variant. Then we found a small package of patches - some real, some made on the "velvet", including this one. It turns out that these were made up (apparently in Germany) to sell as souvenirs. We wrote an article for ASMIC showing the entire package. 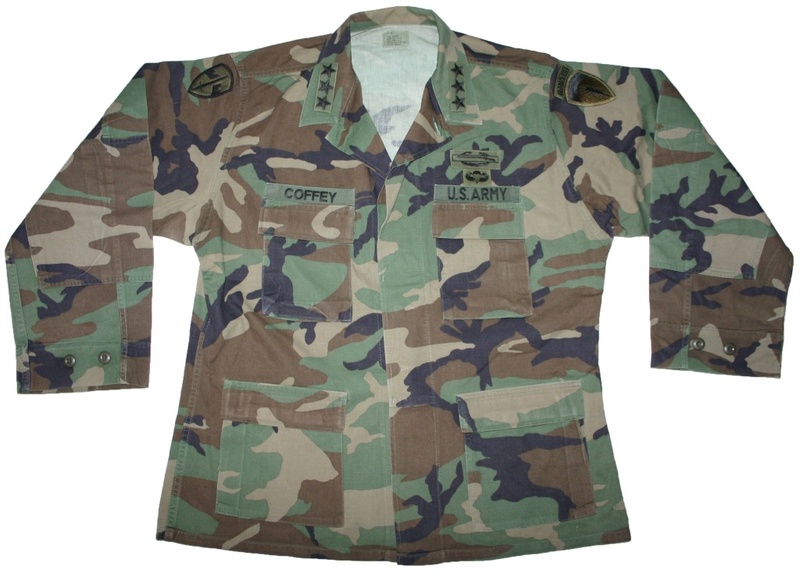 The bottom line is that none of the "velvet" patches are real. Sorry. One more of my unknowns IDed. Thank you for solving another riddle! 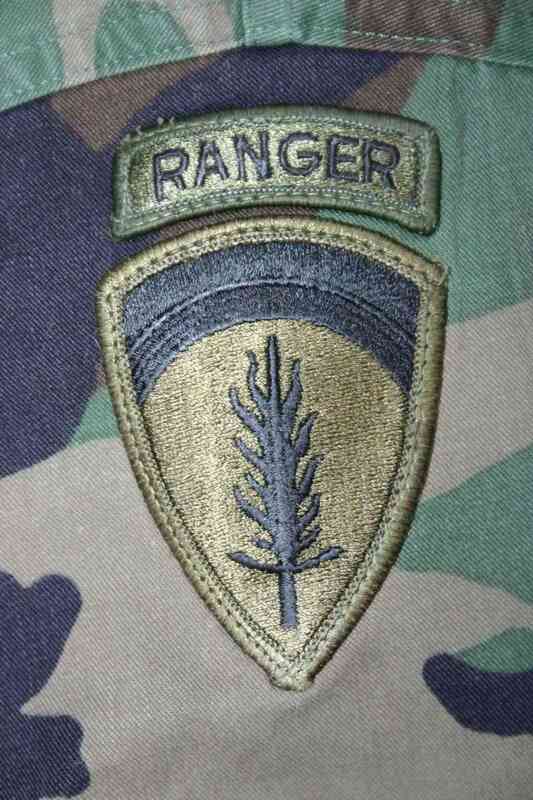 Not a patch alone, but here's one sewn on a Lieutenant General BDU jacket. 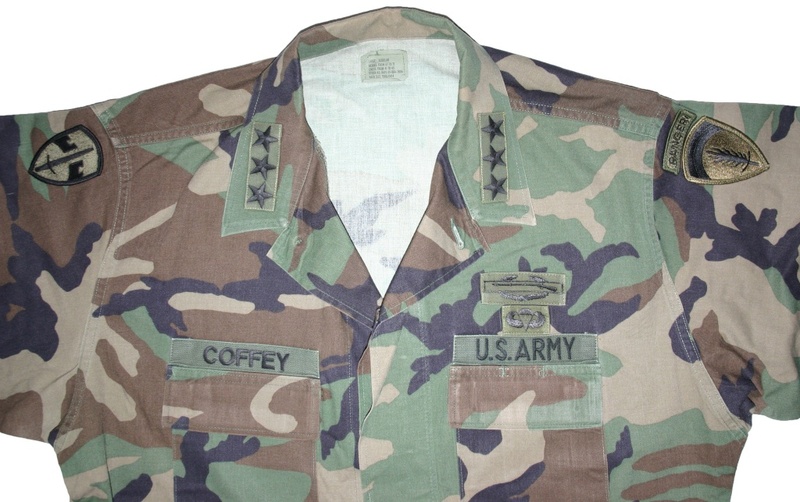 The Lt Gen is Robert S. Coffey who was the deputy commander of USAREUR. By the same time, I search a "Berlin Brigade" shoulder sleeve insignia in DESERT for my collection of desert insignia....If someone has one for sale or trade, please contact me by pm or at [email protected] ! Thanks in advance ! Here are my USFET patches & (di)-crude, German made.